Professional Broking is aimed at the insurance broking community. It is published by Incisive Media and has an audited circulation of over 12,000. 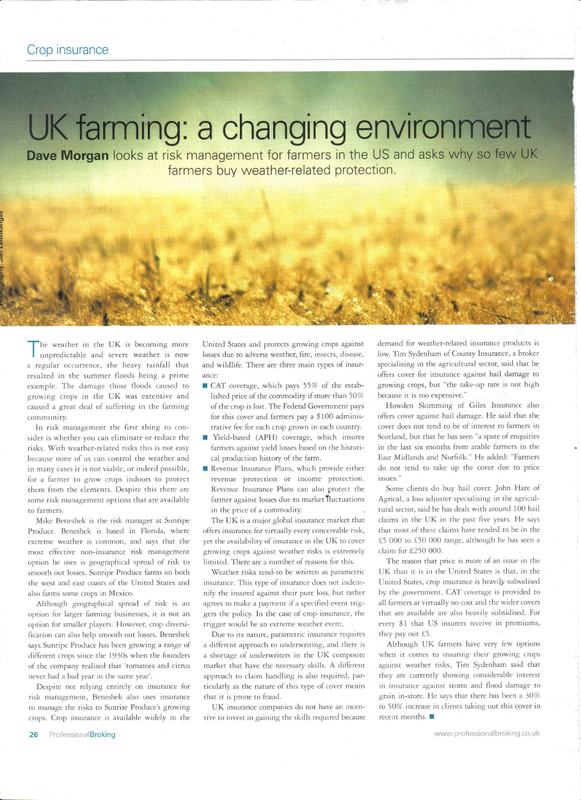 I wrote a feature detailing the problems that the UK farming industry faced when trying to get insurance against weather-related risks compared to farmers in other countries. I used my extensive network of insurance contacts around the world to source information and quotes.